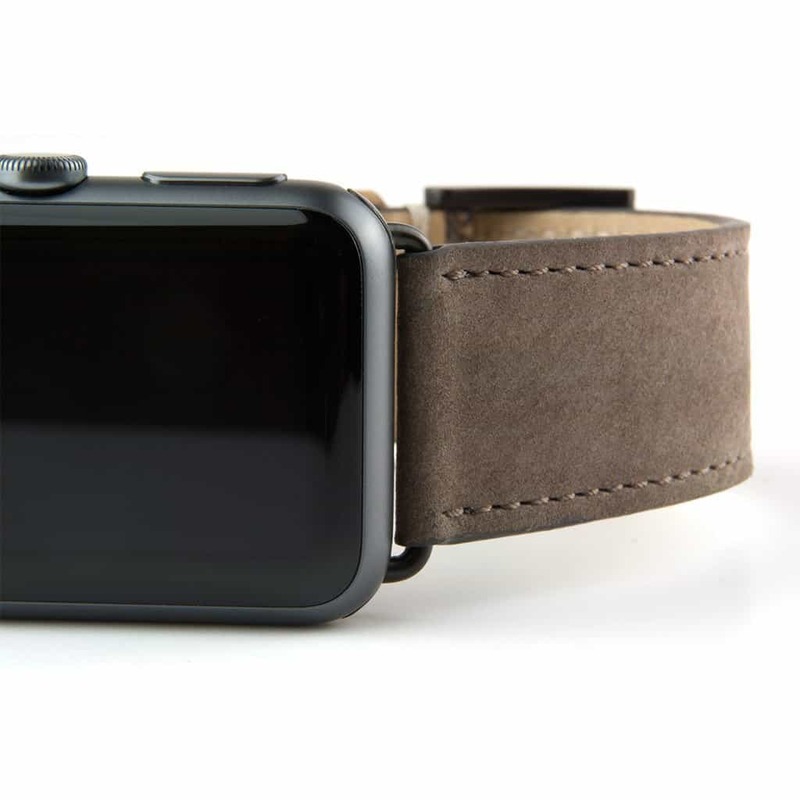 The Taupe Nubuck Apple Watch Strap from Clessant is made of soft, suede-like nubuck buffalo leather. 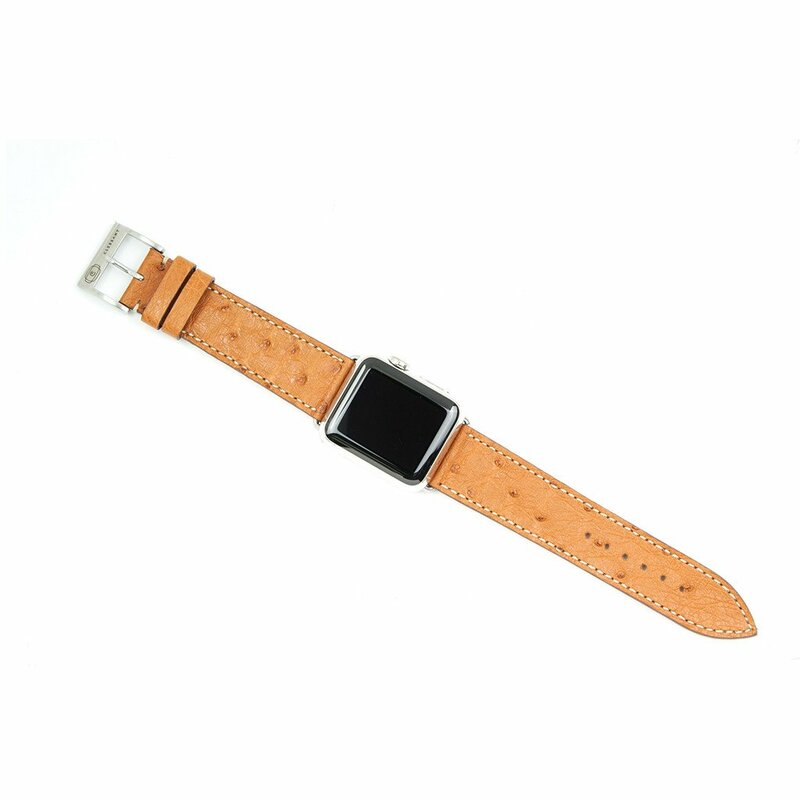 The Taupe Nubuck Apple Watch Strap from Clessant is made of soft, suede-like nubuck buffalo leather — a top-grain leather that’s been sanded or buffed on the outside to produce a velvet-like, ultra-matte finish. It’s amazing to the touch. Another reason Clessant chose buffalo for this band: It’s one of the most resistant types of nubuck, retaining its texture longer than others. The Burgundy Madras watch strap is crafted from goatskin. 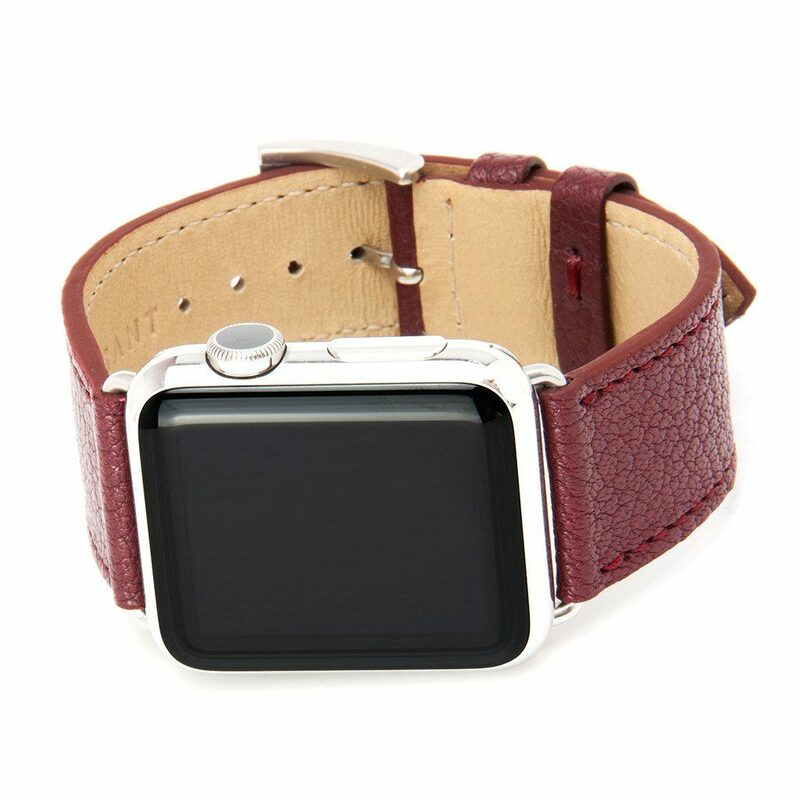 The Burgundy Madras Apple Watch Strap from Clessant is made of soft, comfortable goatskin leather — the pebbled surface of the skin offers texture and refinement. 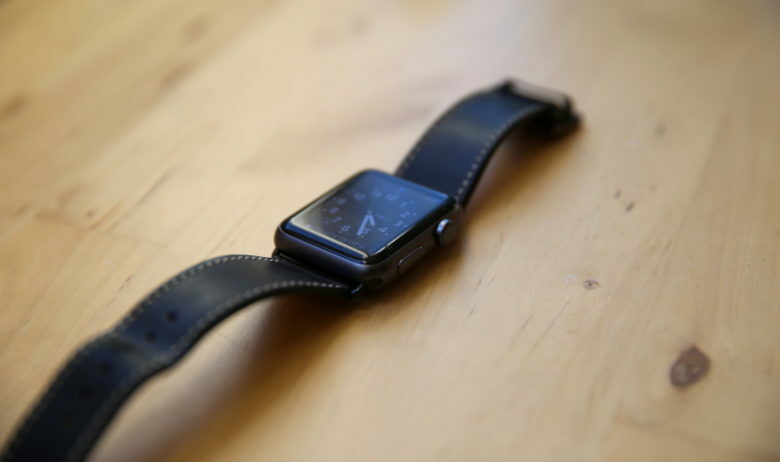 Every ostrich Apple Watch band looks different. 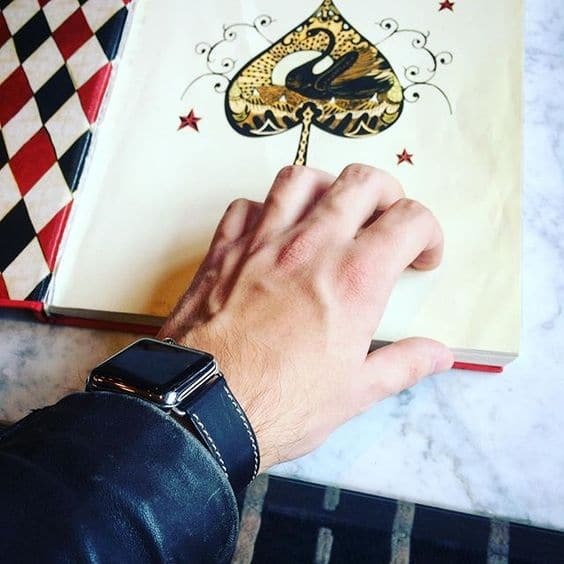 The Gold Ostrich Apple Watch Strap from Clessant is made from ethically sourced ostrich leather. This gold-colored band has an incredible depth of color, and the characteristic bumps for brilliant texture. Strikingly stylish and original. The Black Barenia watch band looks classy and feels fantastic.